Forza Horizon 4 released last week to a host of positive reviews. Playground Games’ newest entry in its open-world racing series takes to the Edinburgh countryside and all the rolling hills and winding roads contained therein. It’s not an exact replica, however, but more of an approximation that serves as a sort of “greatest hits” of the Scottish capital. Many landmarks make an appearance, including The Royal Mile, Bramburgh Castle, Glen Coe and lots more. The world may be an approximation, but that doesn’t mean that Playground skimped on the authentic details. Environment Artist Chris Trentham shared on Twitter many locations that the team used as inspiration for in-game locales. In a series of tweets, Trentham compared real-world Edinburgh locations side-by-side with their in-game counterparts. Below are some of the highlights, with photographs on the left and in-game screenshots on the right. The level of detail is impressive and it’s easy to tell that Playground approached their world with a loving eye. 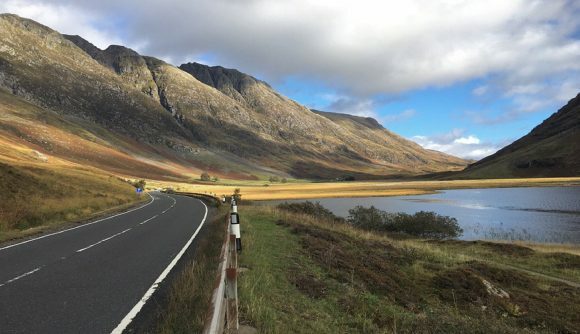 These pictures showcase Playground’s appreciation for its home country, and if you’re interested in experiencing the beauty of the Scottish countryside from behind the wheel, Forza Horizon 4 comes highly recommended. For more on Forza, you can check out our beginner’s guide and performance review.